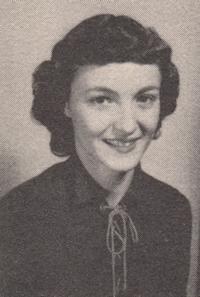 Obituary – Carnes, Sally Lynn (Mugler) « Perry High School Alumni Association, Inc.
﻿Junior Play 49-50, Band 47-50, Student Council 48-49, Teen Town Council 49-51, Home Room Secretary 49-50, Office Staff 46-48, Junior National Honor Society 47-48, President Junior Honor Society 47-48, Class Assemblies 47-48, Basketball Queen Attendant 50-51, Football Queen Attendant 47-48. 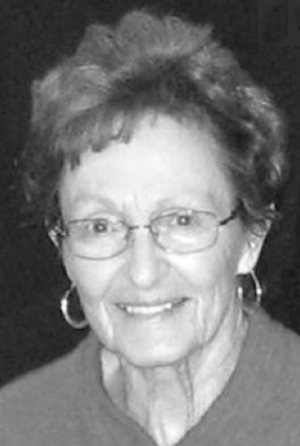 ﻿Sally Carnes, 76, of Wichita Falls, TX went to be with the Lord surrounded by her family at home on November 26, 2009. The celebration of her life will be at Grace Church, Saturday November 28, 2009 at 2:00 pm. Arrangements are under the direction of Lunn’s Colonial Funeral Home. She was born Sara Lynn Mugler July 29, 1933 in Perry, Oklahoma, to John and Maxine Mugler, who preceded her in death. She graduated from University of Oklahoma with a degree in Art and was a member of Delta Delta Delta sorority. She spent a full life raising four children, gardening, taking care of animals in need, playing tennis and being active in Grace Church. She is survived by husband of 54 years, Peyton of Wichita Falls; TX; children Lynn Pitts and husband Russ of Lake Lure, NC, Leigh Bradburn and husband Jim of Anthem, AZ, Matt Carnes and wife Teressa of Grapevine, TX and Drew Carnes and wife Teri of Wichita Falls; and grandchildren Jennifer Maneely, Ian and Kyle Bradburn, Luke, Zack and Jake Carnes, and Haley and Savin Carnes. She is also survived by sister Hayden Wood and husband Chesley of Austin, TX. In lieu of flowers, donations may be made to the Grace Church building fund in Sally’s name.